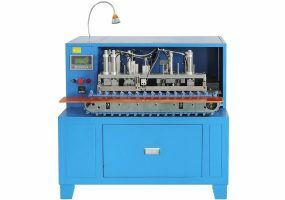 Introducing the brand new KS-W117 Cable Stripping, Twisting and Tin Soldering Machine. This new machine is designed for 2468, 2464, STP-1, STP-2, USB 2 Core/3 Core Wires, Flat Cables and more. 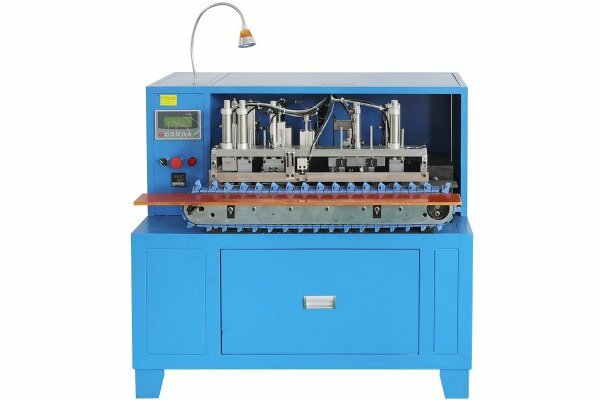 The KS-W117 is able to strip, split and solder tin wires all in one machine. It adopts PLC control system which makes this machine easy to operate and quick to adjust. Application: 2468, 2464, STP-1, STP-2, USD 2 Core/3 Core, Flat Cable etc.